Many of us make the mistake of setting a retirement timeline and savings goal, and then neglecting to think about retirement again for years. 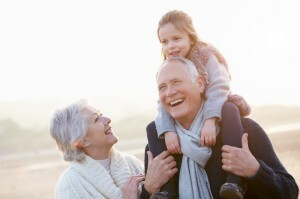 We watched our parents and grandparents retire easily, and we assume it will go that way for us as well. Hopefully, that will be true. But because your retirement depends upon many different factors working together, it’s important to remember that policy changes and new opportunities can change the horizon of your retirement. Stay up to date on how retirement is changing for all of us, and make the appropriate changes to your strategy. Social Security rules change all the time. Social Security is a massive government program, and we all know how confusing the regulations can be! This past fall, Congress axed the “file and suspend” strategy for claiming retirement benefits. Effectively this means that the higher-earning spouse cannot suspend his or her own benefit while the lower-earning spouse claims spousal benefits. Many couples were planning on utilizing this strategy in the future, but will have to adjust their retirement plan to account for the change. Remember to claim the Saver’s Credit. Middle-income workers benefit from this tax credit, which encourages them to save for retirement. This year, the eligibility threshold has been changed to $30,750 for singles and $61,500 for couples filing a joint return. If you qualify, you can earn a tax credit for part of the amount that you save each year. Health care is changing rapidly. Quality and availability of health care is changing, but so is the out-of-pocket price. You probably noticed rising health insurance premiums last year, and this expense will probably affect you even more as you get older. Medicare premiums fluctuate too, so keep in mind that your health care expenses won’t be fixed in retirement. Social Security benefits can change over time. During most years, retirees count upon cost of living adjustments (COLA) to increase the size of their Social Security checks. But occasionally, if inflation remains flat, the Social Security Administration does not issue a COLA. So remember, you can’t count on Social Security benefits to increase as your personal cost of living grows. Yet, if your Medicare premiums rise and you have them deducted from your Social Security checks, you could actually see a decrease in your monthly benefit. This year, the average benefit is down 24 dollars per month. As you can see, your plan for retirement is hardly a “set it and forget it” scenario! Stay in touch with us by scheduling regular appointments, and we will keep you up to date on changes that will affect your retirement plans.